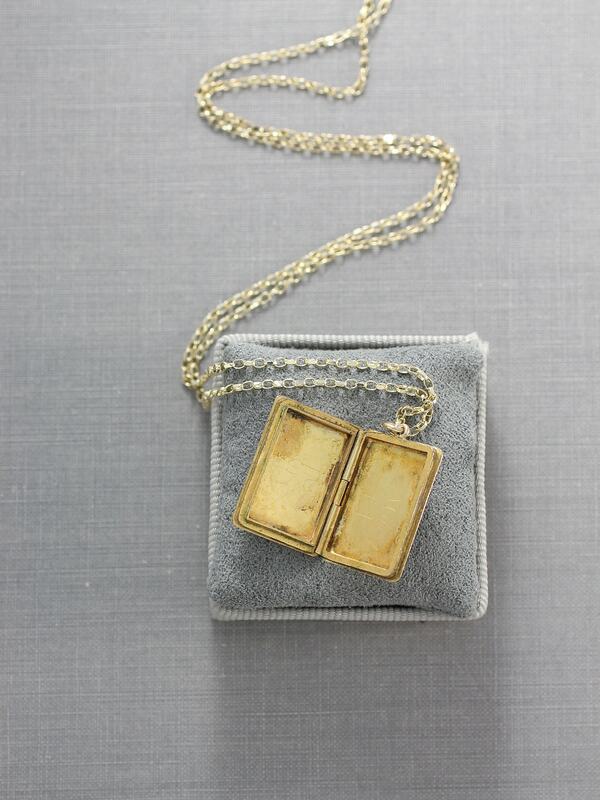 A wonderful vintage 9ct back and front gold locket is engraved with a simple design bordering its rectangular book shape. 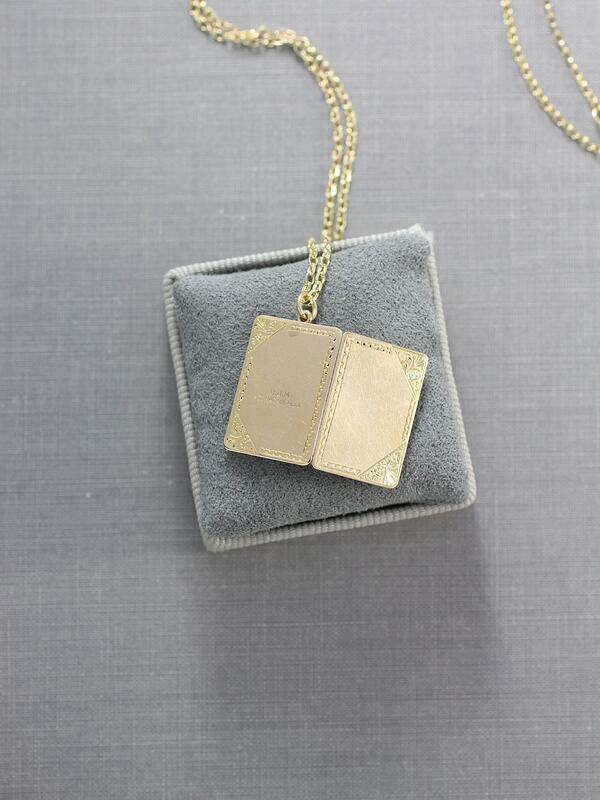 The engraving is on both the front and back. 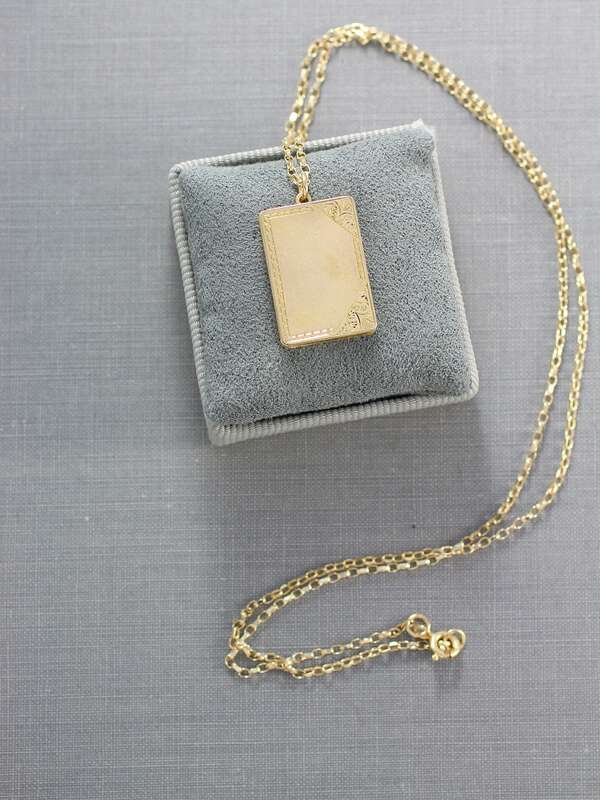 The beautiful soft yellow gold locket opens to reveal two places ready to hold your beloved photographs. 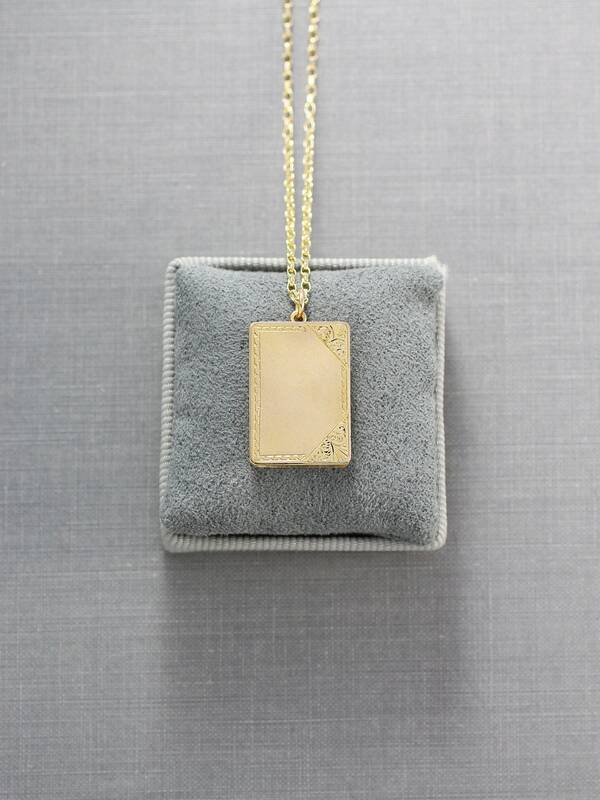 The old picture pendant dangles from, what I believe to be, the original chain which is a wonderful sparkling gold cable chain finished with a tiny ring clasp. 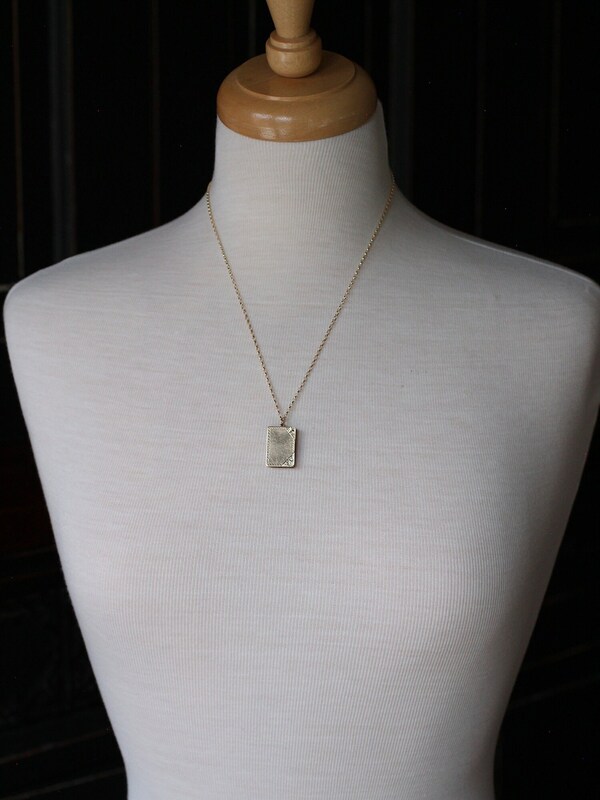 Locket signed: maker's mark "D.J.M." and " 9ct back and front"